After hitting up red carpets, partying it up on the L.A. party scene and shopping sprees at The Grove, Karrueche said she was in need of a break. And by break we mean photo-ops to show off her new Flash ink tatts she's selling. So, chick jetted to Miami Beach to catch some rays on the beach. As she trekked through the sand, we noticed she’s wearing a diamond ring on her ring finger. We’re not insinuating a thing, but we find it funny that she’s still wearing the rock Chris gave her on THAT finger knowing people will talk. It worked. As for who she's been dating recently...she's been linked to soccer player Memphis Day for a few months now. After getting settled, she laid out in the sun while reading 'Live Love Lead' by Hillsong Pastor Brian Houston. If you're wondering about her bikini, it's by Australian designer Triangl and goes for about $70. Today, she’s back on the beach busy SnapChatting the photogs as they try to get her picture. Over on the west coast…. Kae’s ex-boyfriend Chris Brown hit the stage at the Hollywood Palladium for a special concert to celebrate the release of his album Royalty last night. He even brought his adorable baby girl Royalty out on stage. Following his performance, the R&B crooner was in the mood to turn up, so he hit the L.A. party scene for some fun. 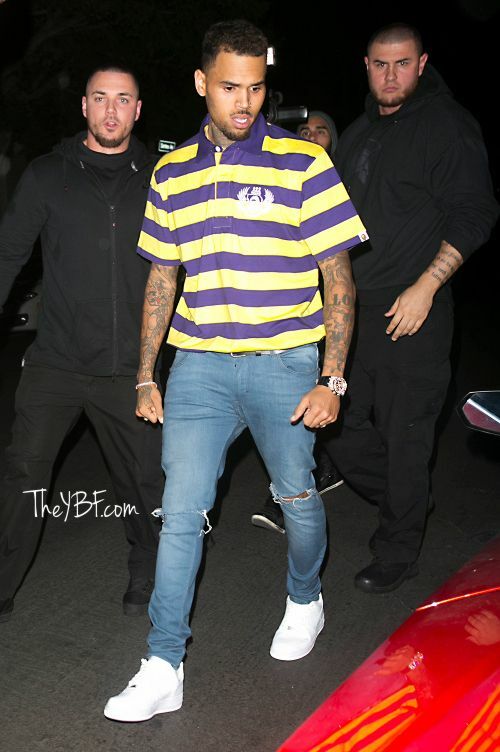 Upon leaving the Argyle nightclub in his red Lamborghini, Breezy’s crew almost got into a brawl as a crowd began to get rowdy outside of the club. 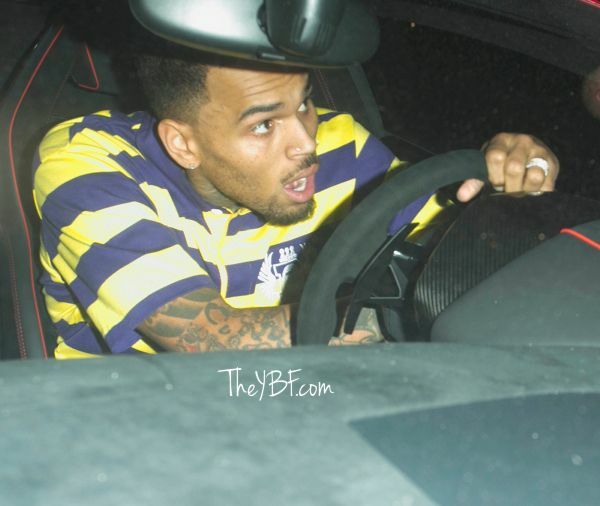 TMZ reports someone knocked a cellphone out of the hand of one of Chris’ friends and that’s when ish started to escalate. PREVIOUS: Teyana Taylor & Iman Shumpert Get Emotional While Telling Iman, Jr.'s Delivery Story To "GMA"